8A Charge Controller is Micro-controller based for automatic, intelligent operation designed for 12 V nominal solar panels and 12 V battery systems. It has 3 Stage charging (Bulk, Absorption, Float) for 100% return of capacity and long battery life. It can be used with 2 types of batteries: Flooded/Web Cell or Sealed AGM. 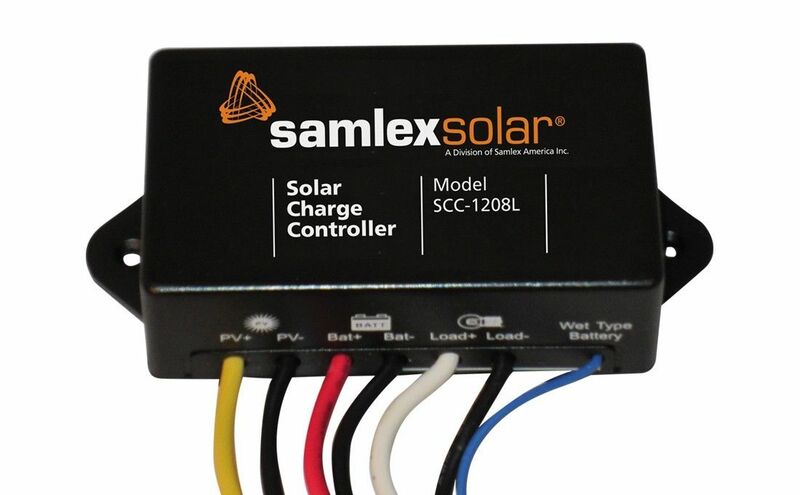 The SCC-1208L can manage up to 150 Watts of Solar Power.